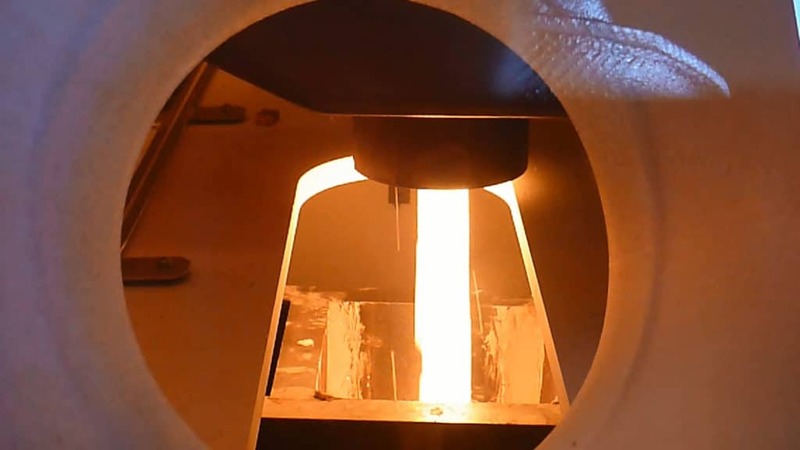 Our melting furnaces are designed for heat treatments allowing you to develop new materials. Enjoy the latest technologies for melting metal alloys, glasses, silica, refractory materials but also oxidizing materials requiring high temperature ranges. Our melting applications offer covers the needs of laboratories and R&D centres, industries and small foundries. Our solutions are scalable and modular, thus adapting to investment programs. The melting and elaboration of materials with high added value, as well as the improvement of their physical properties takes place in vacuum furnaces or under controlled atmosphere. Required technologies could be cold crucible (made of cooled copper or cooled stainless steel), hot crucible (graphite or other) or the use of susceptor or radiating muffle to heat materials. Consequently, cold electric insulating materials (ceramic, glass, enamel, silicon) can be treated within our induction furnaces. Solutions using Plasma technologies can also be used to purify materials. The ECM range dedicated to the elaboration of materials covers a wide range of industries. Among these, metallurgy, refractory materials, aeronautics, nuclear and additive manufacturing are industries within which ECM is already a key player. ECM uses and has developed many different technologies resulting from numerous R&D studies, but also from discussions with its different partners. Resulting technological innovations are integrated in all our products using inductive technologies such as laboratory furnaces, VIM and CCIM furnaces, as well as foundry workshops. These technologies allow ECM to offer modular and scalable products and installation concepts. ECM can integrate cold crucibles within its induction furnaces to elaborate reactive materials. Cold crucibles are made of copper parts that are water cooled. A layer called auto crucible is a solid material resulting from the interaction on the crucible walls, prevents from the contamination of the melt and limits the crucible’s wear. When elaborating new materials or modifying their physical properties, ECM brings its expertise in the engineering and studies of interactions between materials, and in the extraction of samples. This process expertise is resulting from the mastering of high temperatures and of vacuum, which built the ECM Group’s image. Also, high added value engineering projects are supported by numerical simulation expertise or by piloting process expertise. Thus, ECM Technologies has strong intervention and R&D capabilities within this industry. ECM gathers engineers and scientists focused on melting applications and on the elaboration of materials. Moreover, the company has premium technological partners, with leading know-how. Indeed, ECM teams collaborate with the French CEA on cold crucible and conductive crucible topics, as well as with the UTBM for atomising towers and crucible technologies. Finally, Metafensch is a key partner for vacuum induction melting applications. These partnerships allow ECM Technologies to use a high end R&D platform, leader on the elaboration of materials market, to create synergies and share expertise.